This Step-to-Prep is not meant to provide you with “the” first aid kit for you, but to encourage you to GET a first aid kit. Off the shelf first aid kits will contain the basic emergency supplies you will need in most circumstances, but remember these kits are generic. 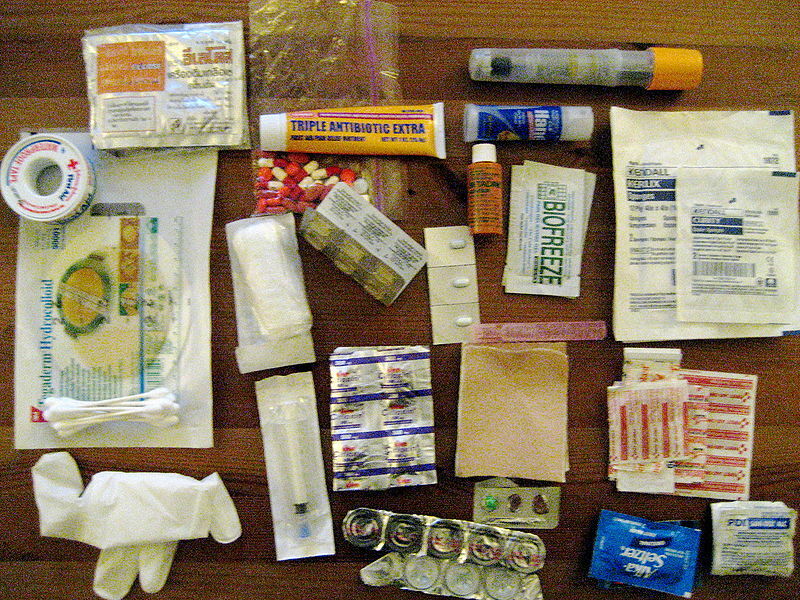 Take 30 or 60 minutes today to evaluate your first aid kit, then add the things you may need. Some things to consider – prescription medications, allergic reaction medication (epi pen), water purification straws. Every person and every family is unique, and your needs are best known by you. Today’s off the shelf kits usually come in a rigid box or portable case, they are easy to store and simple to identify. all the essentials in a medical emergency. I recommend a minimum of three first aid kits, if you boat, cycle, or engage in other activities away from one of your three primary kits, then you need more kits to support those locations and activities. organized because when you are frazzled in an emergency you don’t want to search for hours or even minutes, you need to know where your items are kept and how they are organized. Rather than one large box for all the supplies, consider a few smaller boxes to make organization more simple. Car – The size of your auto box is limited by the size of your auto. If you drive a large SUV you may have room for a larger kit than those driving a small hybrid. To-go Bag – This kit is the smallest of the three, and packed for weight and necessity. Cuts, stings, bites, and minor aches are covered in my To-go Bag, I keep tape and one bandage and would rely on found material if I needed a splint. To remind you again, this is not meant to tell you what should be in your kit, or where you need first aid kits, but to motivate you to get your first aid kits in order and know what you have, where it is, and most important – how to use your first aid materials. What items do you find essential for your FAK? Comment below.